Remote Control Candles! No hunting for matches, no wax oozing and of course, no getting up from your chair - just click the remote control and voila, your artfully positioned candles magically spring to life. These can either glow constantly, at a choice of two brightness levels, or flicker just like the real thing. You can also set them to four or eight hours of light time, so you don't even have to remember to turn them off. These multicoloured versions gently light your room with myriad shades of blue, red, pink, purple and more - all with flickering or constant lights. Phase through the colours or stick with just the one. No mess, no fire hazard, just effortless cool. Brilliant. 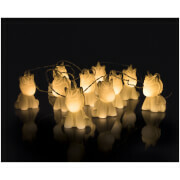 Ivory-coloured, battery-powered wax candles with LED bulbs and remote control (20 ft range). Multicolour pack contains 2 candles. 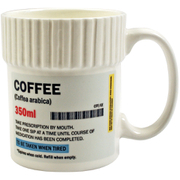 Also available in Original (plain) and Vanilla scented. Adjust brightness and use timer function with remote control. Flickering and constant light modes. Multicoloured version has 12 different colours, all can be controlled via remote. Timer function can be set for 4 or 8 hours. Multicoloured version requires 3 x AAA batteries per candle.